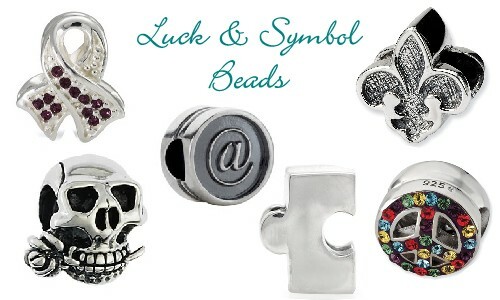 Luck, Symbol & Awareness Beads from some of our favorite Bead Designers. Ohm and Reller Awareness Ribbon are a wonderful way to show a causes that mean so much to your heart. Reflections Fleur de Lis and Peace Symbol to show your spirited side. Kera's @ symbol to show your tech side. There are many beads to show all the different symbols that are fun and dear to your heart.